The Coal Authority Board is to conduct its business in public, with the next meeting arranged to take place on 15 March 2016. 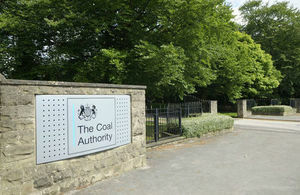 The Board of the Coal Authority continues to conduct its business in public, as part of its ongoing commitment to giving stakeholders greater access to information on the activities undertaken by the Authority. The next public meeting of the Board will take place at the Authority’s offices at 200 Lichfield Lane, Mansfield, Nottinghamshire, NG18 4RG, at 9:45am on Tuesday 15 March 2016. If you use assistive technology (such as a screen reader) and need a version of this document in a more accessible format, please email thecoalauthority@coal.gov.uk. Please tell us what format you need. It will help us if you say what assistive technology you use. Exceptional items of a commercially confidential nature will continue to be dealt with by the Board in closed session.